Looking for a New or Pre-Owned Car, Truck or SUV in Houston? 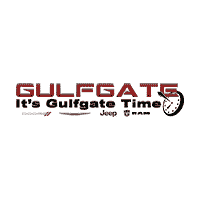 At Gulfgate Dodge Chrysler Jeep Ram, our friendly and knowledgeable staff has helped many people get into the car, truck or SUV that they’ve always dreamed of, and we want to help you as well. Looking for a new truck? Search our large selection of NEW 2019 RAM 1500s, and 2018 2500s and 3500s at our Gulfgate Ram Superstore. We’ve got the largest selection of Ram Trucks inside the Loop! Have you checked out the new 2019 Dodge Challenger, Charger, Journey, and Grand Caravan vehicles? At our Gulfgate Jeep Superstore, we’ve got the largest selection of Jeep Cherokee, Grand Cherokee, Renegade, all new 2018 Jeep Compass, and Jeep Wrangler Unlimited vehicles inside the Loop. We also have a great selection of Chrysler 300s, and the all-new Pacifica. If you’re looking for a pre-owned vehicle, it’s time to come to our Houston Pre-Owned Supercenter to find the vehicle of your dreams. So come out to Gulfgate Dodge Chrysler Jeep Ram today! If you need a car loan, check out our finance page to start the process. If you need parts or service don’t forget about our master technicians at the Gulfgate Dodge Chrysler Jeep Ram Service Department. But don’t take our word for it, come down to 7250 Gulf Freeway in Houston, Texas and see what Gulfgate Time is all about! Check out the difference for yourself and remember – around here IT’S ALWAYS GULFGATE TIME!